Victorville, CA - The City of Victorville Environmental Programs Division recently updated its Reuse Guide for the Victor Valley. The Reuse Guide is a comprehensive listing of where to donate or re-sell household items. The Reuse Guide contains a list of over 45 organizations that accept donations of clothing, furniture, household items, and even building materials. The organizations listed either re-sell the items in thrift stores and use the proceeds to support their programs, or the groups use the items directly in providing assistance to local residents. The Guide includes information about which groups can pick up items as well as what groups provide a tax receipt for charitable donation. The Guide also has a list of on-line resources for people who want to sell, trade, or giveaway items. Reuse is a great way to save natural resources and also help local non-profit groups. By reusing, valuable items are kept out of the landfill. Those items can be re-sold to generate revenues for the many non-profit groups in the region which provide assistance to individuals needing help. This creates a "win-win" situation for the environment and the community. In the Victor Valley, all trash ends up at the County's Victorville Landfill, where it is compacted and buried. Throwing away unwanted - but still usable - household items wastes resources, uses up landfill space, and costs residents money for disposal. Keeping items out of the landfill is a much better option environmentally and financially. The Reuse Guide for the Victor Valley is available on the City's recycling information website: www.VictorvilleRecycles.com (look for "Reuse Guide"). A copy can also be requested by calling the City of Victorville Recycling Program at (760) 955-8615. EDITORS NOTE: The companies highlighted in the aforementioned article are not endorsed by Zero Waste Communities. These companies are mentioned only as many options to choose from when considering electronics recycling. According to the Environmental Protection Agency (EPA), for every million cell phones we recycle, 35 thousand pounds of copper, 772 pounds of silver, 75 pounds of gold, and 33 pounds of palladium can be recovered. Still only 20% of electronic wastes are recovered and recycled. There is so much we can do to help. First and foremost, reduce how much we consume. Is it really that important to have the latest and greatest gadget? If the one you have still works and gives you minimal trouble (we all know how electronics work) then why not keep using it until you need a new one. Reducing how much we consume will not only save resources and money but will extend the life of many the products we will eventually have to manage. Let's take cell phones for example. The manufacturers of these devices come out with new phones all the time. You see the commercials where people are trying to give their phones away just to get a new one. The people in those commercials probably don't take the phone and recycle it. Maybe just maybe someone picks it up thinking they can get something from it and recycles it. So many vendors will take back electronic products now. Going back to the cell phone example, major phone companies (Verizon, T-Mobile, AT&T and Sprint), electronics stores (Best Buy and Staples), computer and cell phone manufacturers (Dell, LG, Nokia, Samsung) all have take back programs. They may be in stores, through collection events, online, or a mail in program. 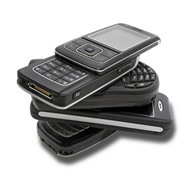 Check your locale retailer/phone provider for recycling options. Some will even pay you for the device. It may not be much but a credit or gift card helps in the long run. There are also non-profit organizations (Cell Phones for Soldiers, Operation Gratitude, local zoos) that will take your device, recycle it and the money earned is put towards a good cause. There are also non-profit organizations that will take the device, recycle it and any money earned is put towards a good cause. One thing to note if you do decide it is time to upgrade to the latest and greatest, make sure to delete the data on your device before sending it out. Pick and choose your recycling program wisely. You want to make sure that if they offer you compensation, you will get it. Also, remove the batteries (if you can) and tape the terminal end. A lot of batteries mixed in a container can be dangerous and start fires. Below are some resources to consider when recycling. There are many other options available so check them out and decide which is best for you.